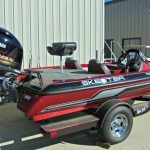 NEW 2017 Skeeter TZX190 Bass Fishing boat powered by a 150hp 2.8L 4-cyl EFI Yamaha VMAX SHO 4-stroke outboard engine. 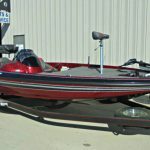 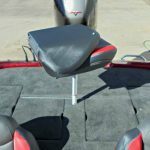 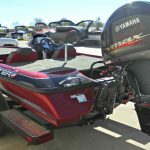 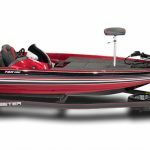 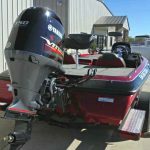 The TZX190 was introduced as a cost-effective way for serious fishermen to get an incredible bass boat with all the Skeeter hallmarks, while saving on the price tag. 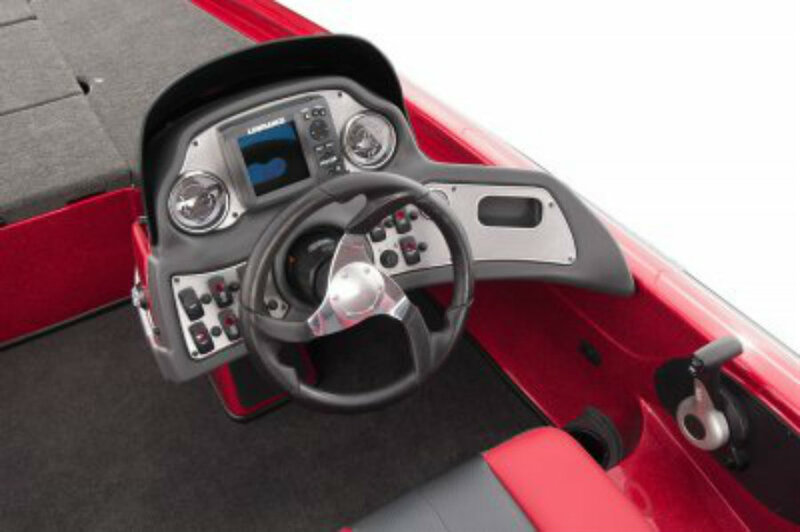 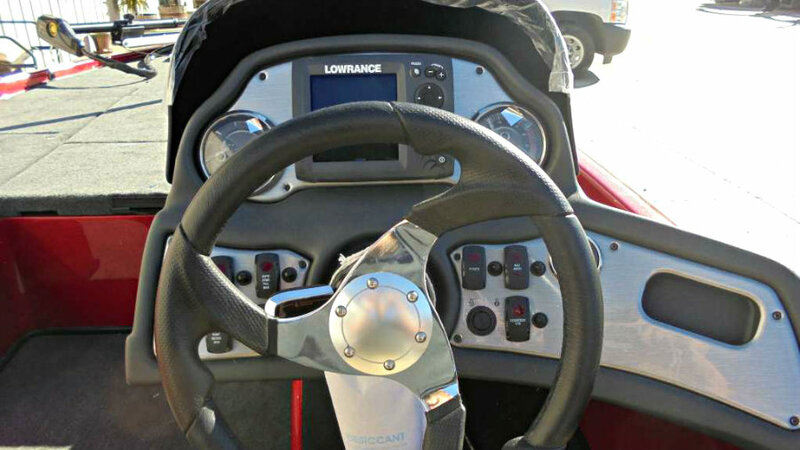 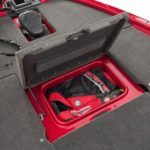 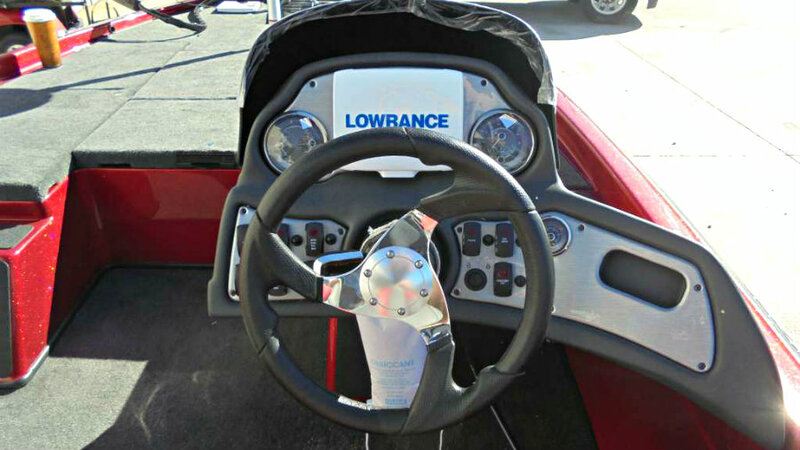 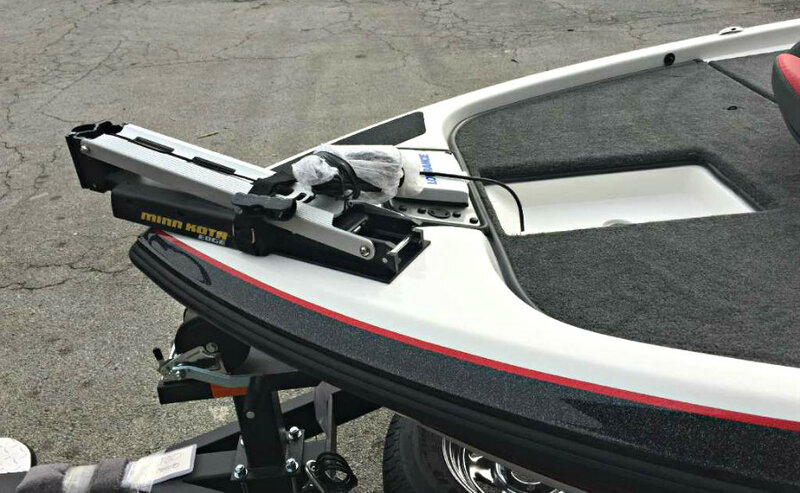 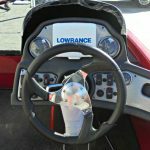 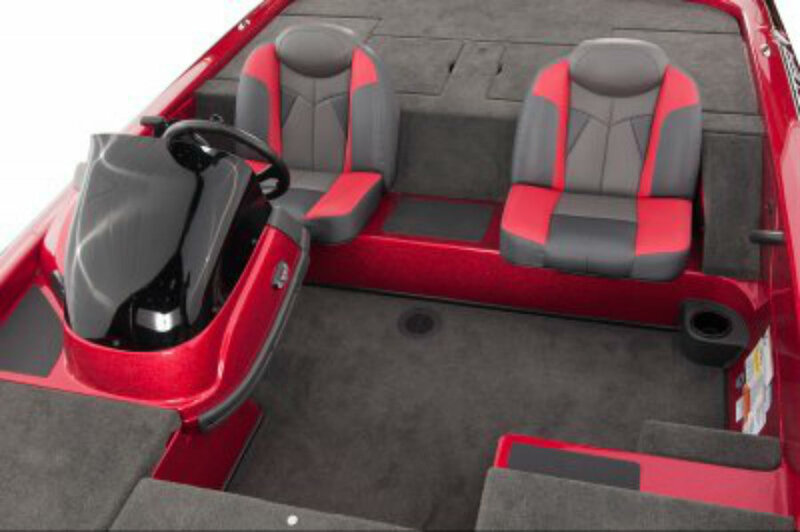 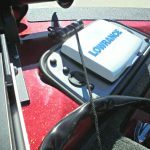 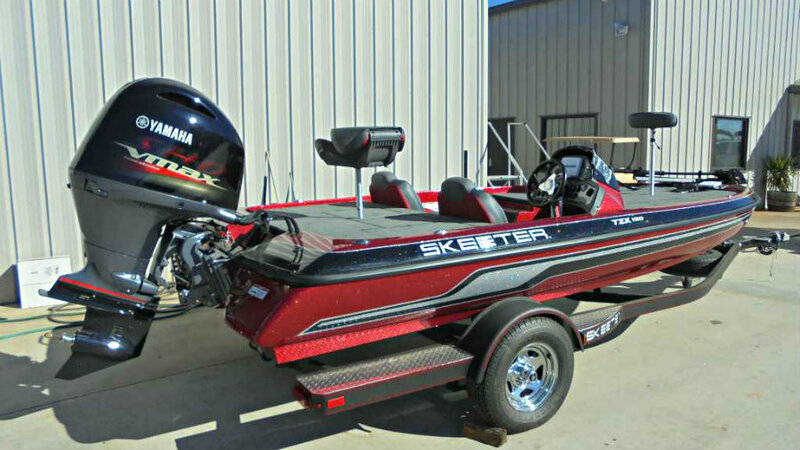 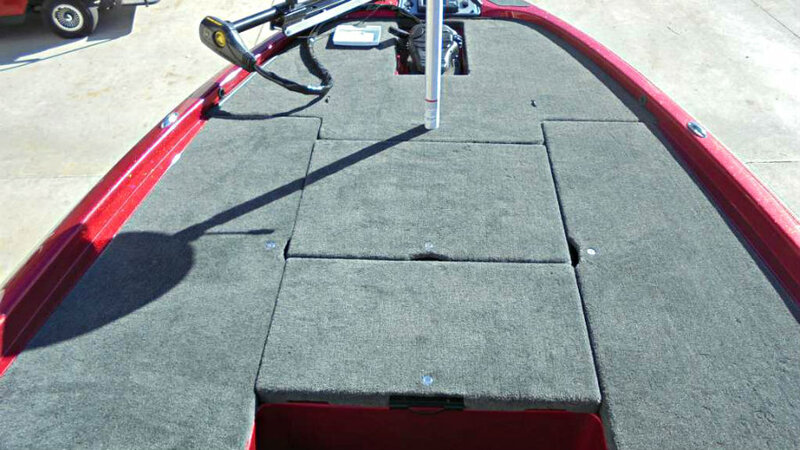 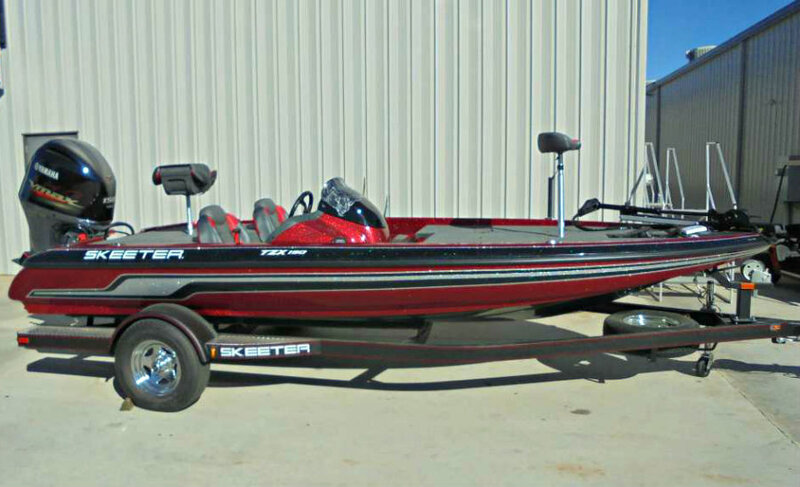 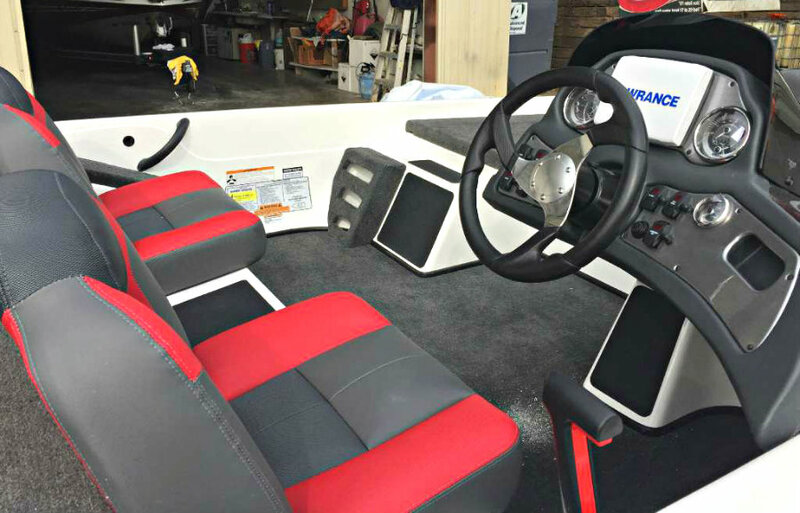 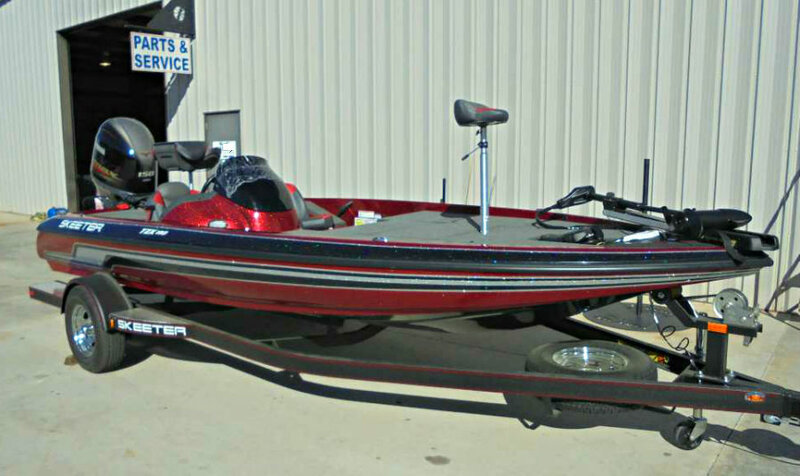 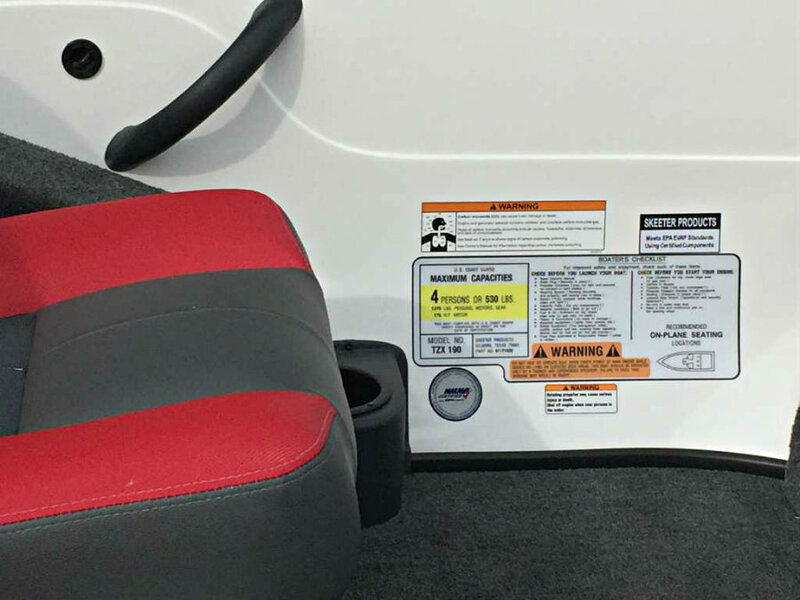 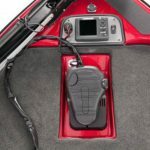 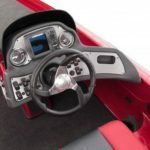 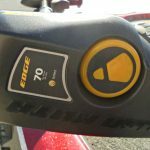 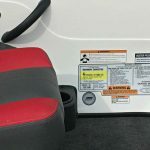 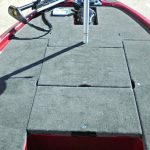 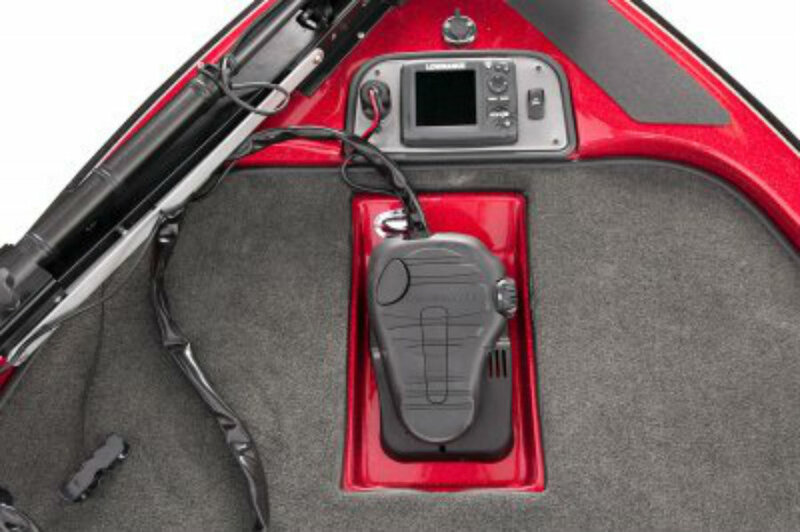 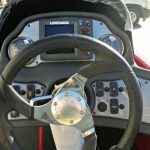 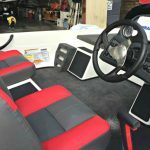 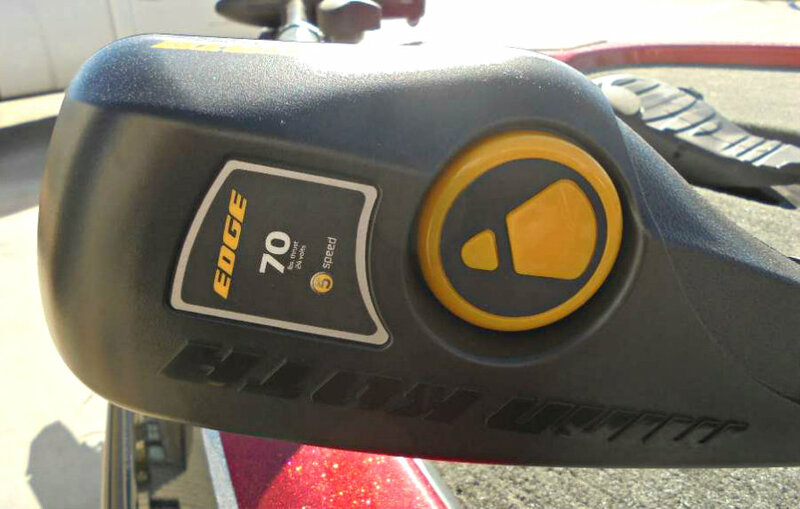 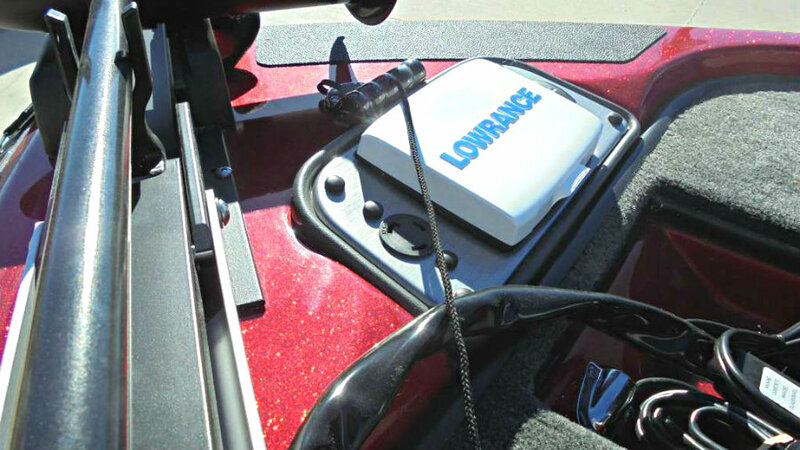 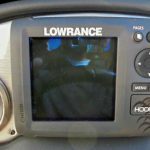 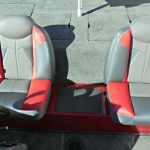 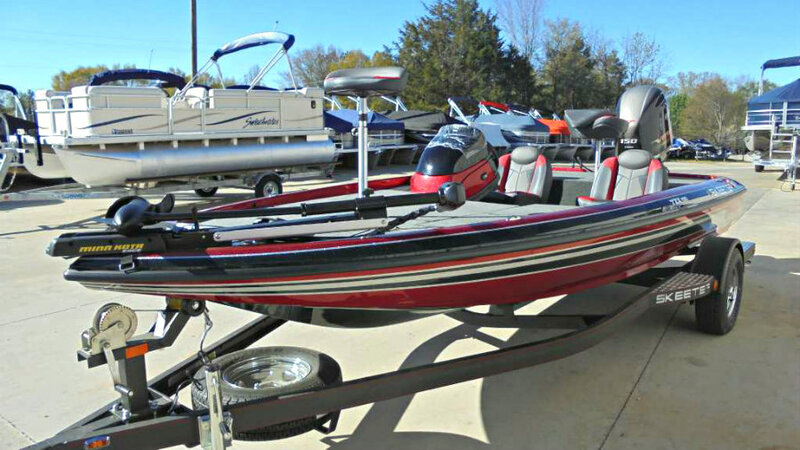 Some of these Skeeter hallmarks include the Torque Transfer System, dash-mounted electronics, and flush casting decks with hidden latches and hinges. 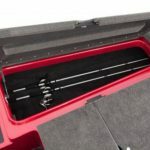 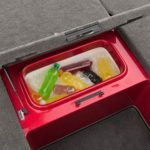 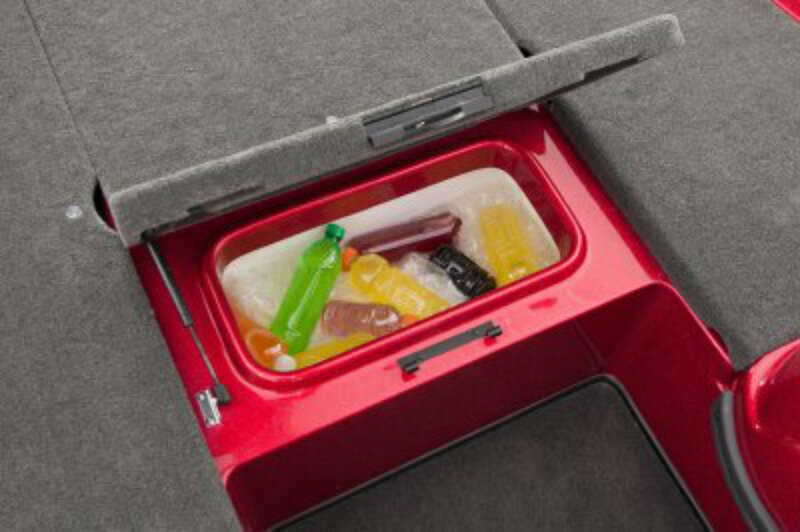 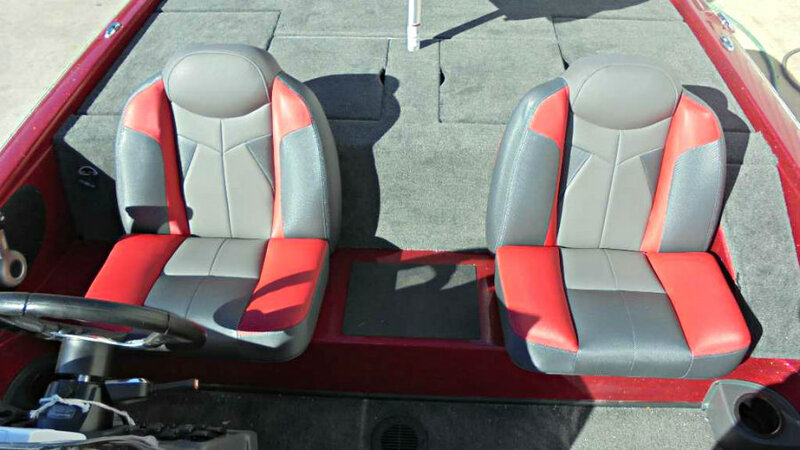 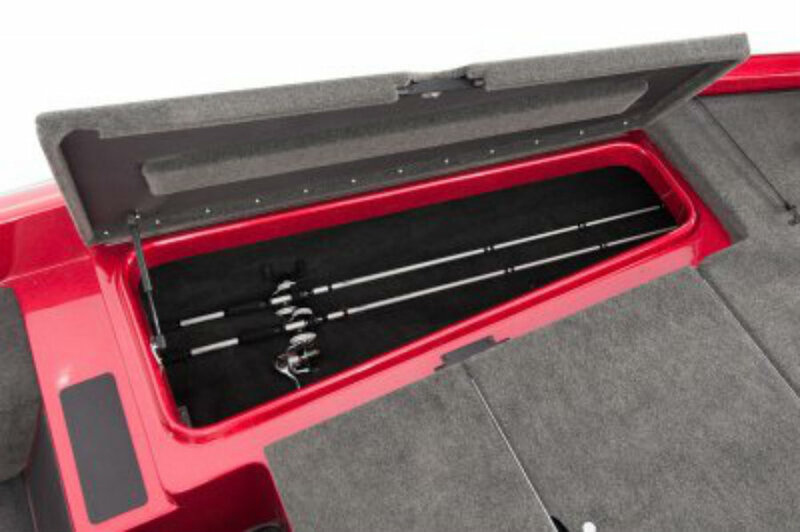 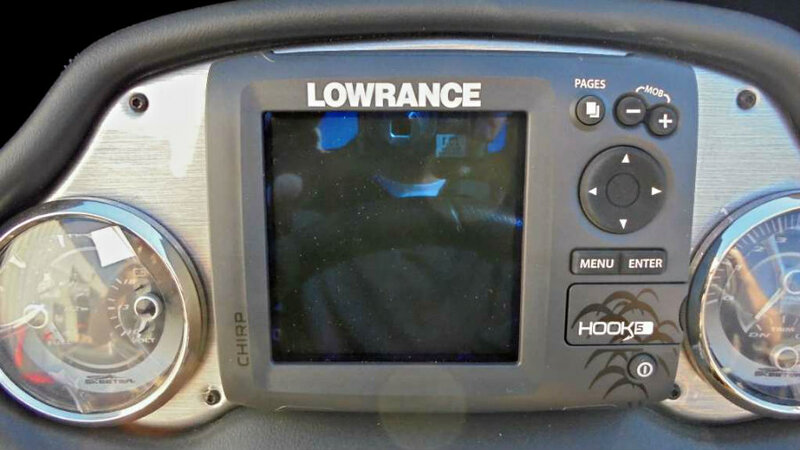 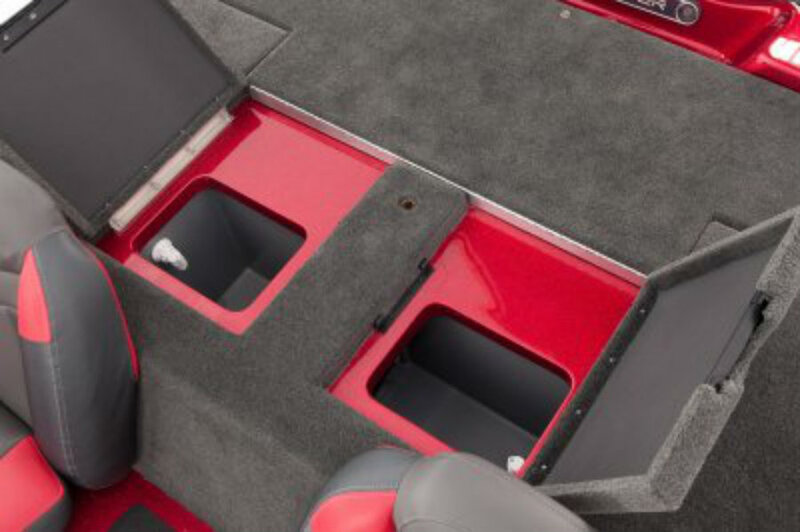 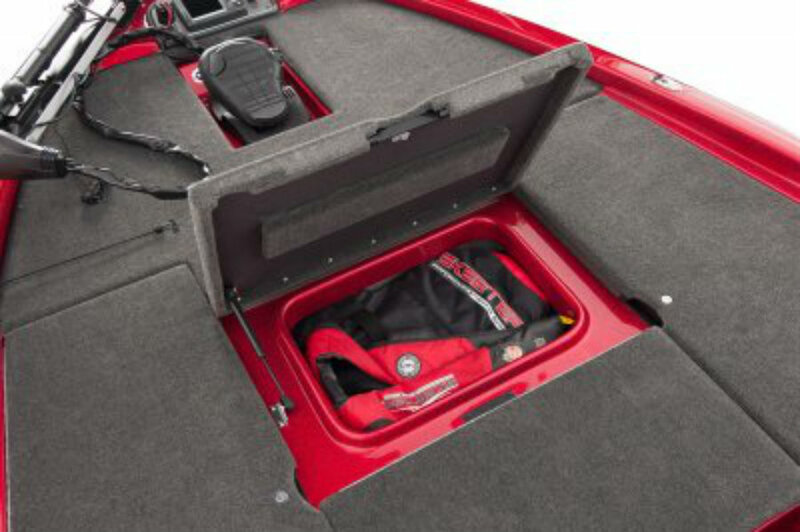 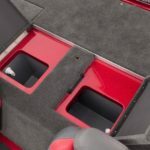 There is a 30-quart cooler, livewell, optional dual console, rod storage and fishing seats – everything you need for a weekend tournament. 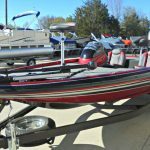 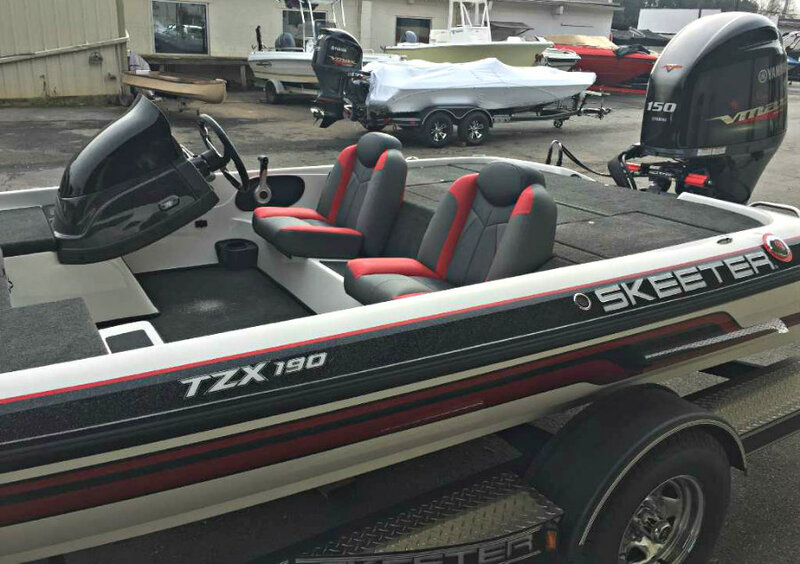 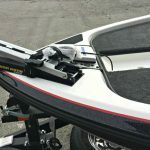 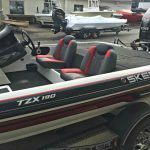 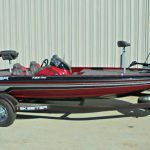 Even though the TZX190 is Skeeter’s value line, it is still constructed to the company’s high standards and is really is a user-friendly boat. 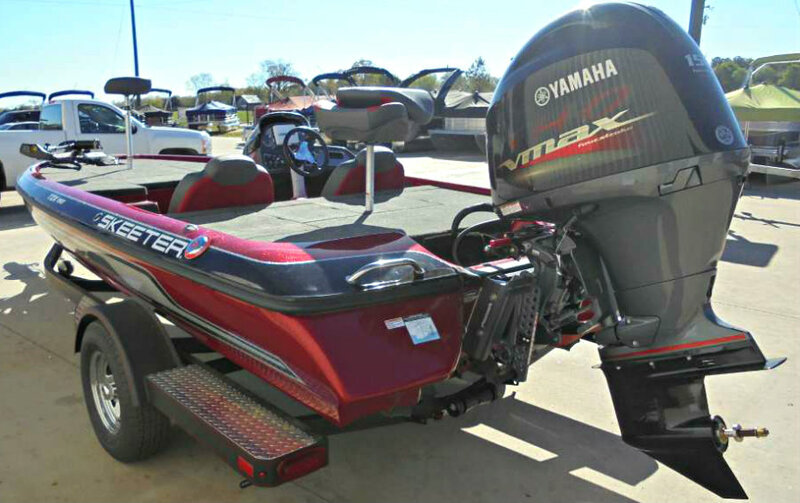 The TZX rides incredible and handles rough water fine, even at high speeds, and with no chine walking. 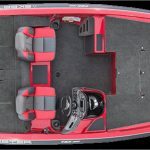 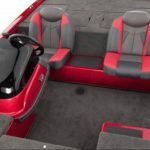 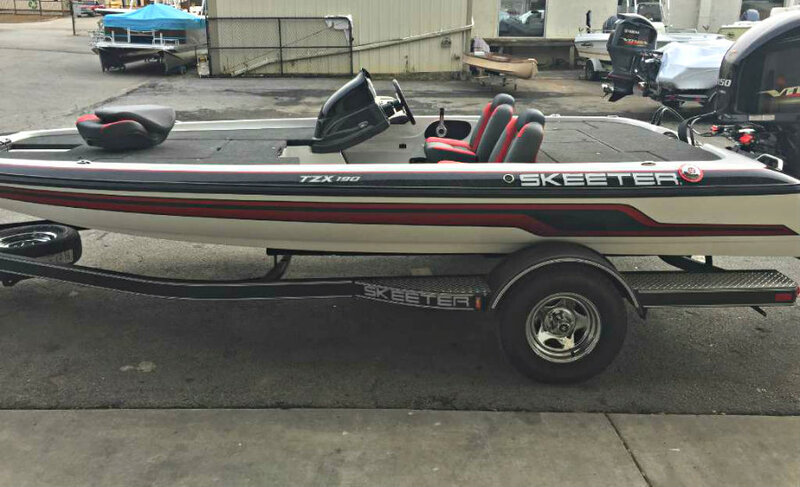 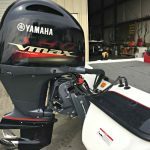 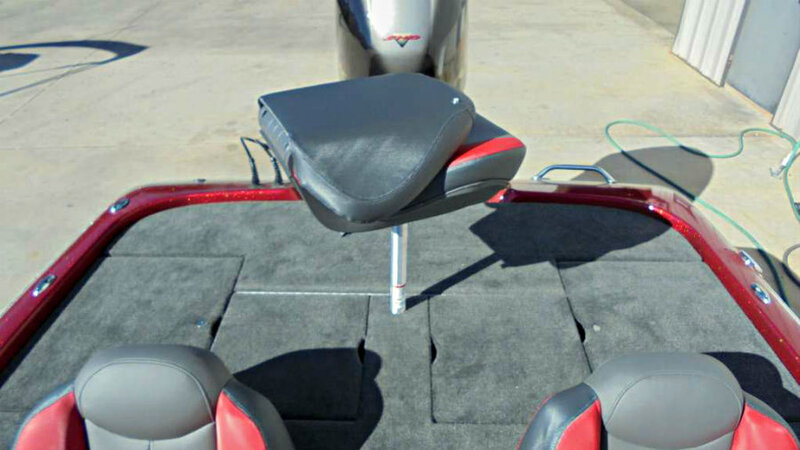 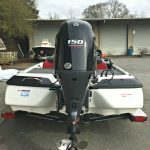 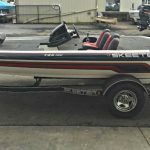 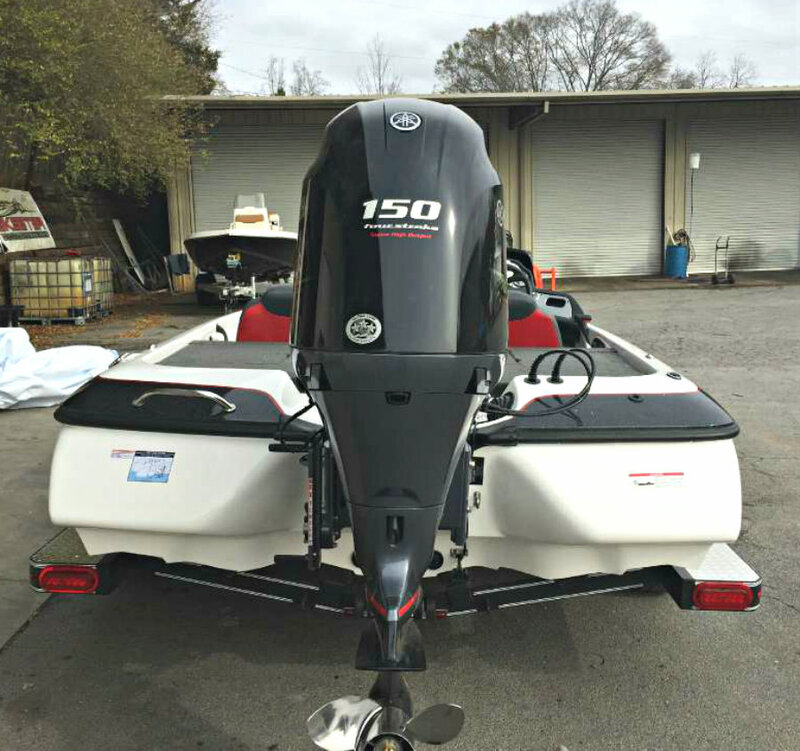 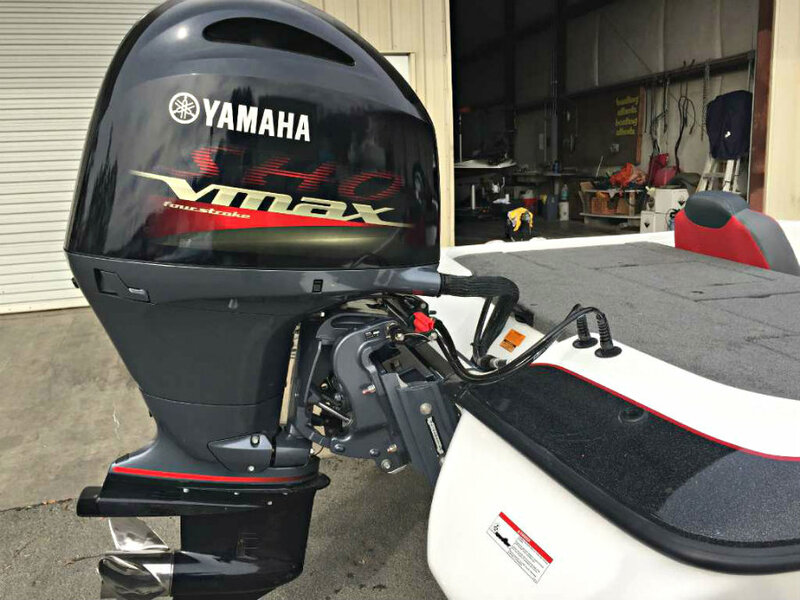 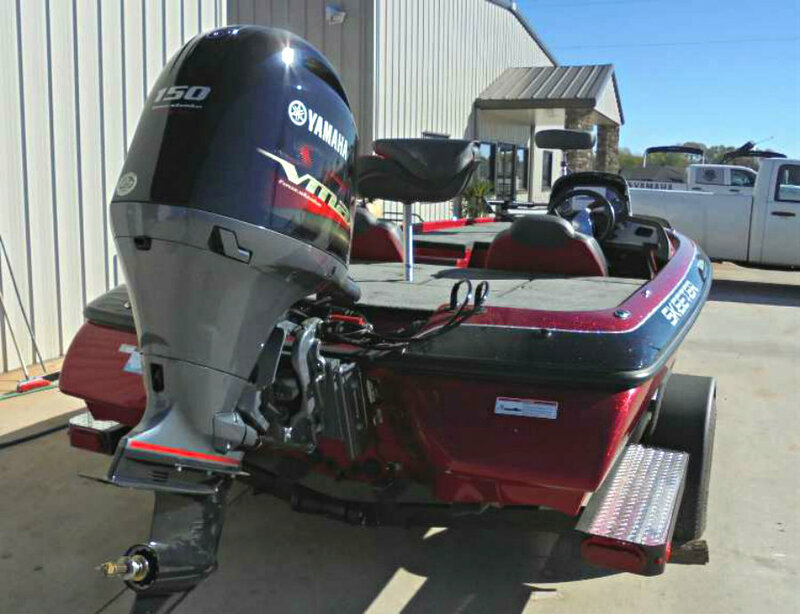 This 19′ Skeeter comes equipped with the Yamaha VMAX SHO 150hp outboard engine and delivers incredibly efficient, clean and quiet performance that you have come to expect from a four stroke, while at the same time using up to 40 percent less fuel than a traditional carburetted two stroke engine.